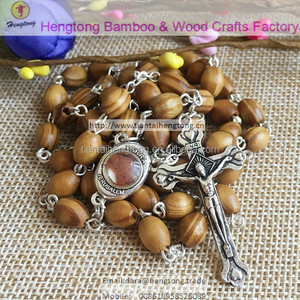 Feature: 1.Name: 8 *6mm olive wood rosary, religious oval bead rosary,Jerusalem cross with Madonna Medallion,Containing terra soil 2.Bead size:8mm*6mm 3.Design:We can supply any design as per customers' request or our design. The pendant on therosaries are with Jesus pattern. The catholic rosary are with the beads of 6mm,7mm, 8mm and 10mm etc, some are oval beads or round beads, and can paint any color you want. WOOD ROSARIES : 10 mm Jerusalem olive wood rosary with bone cross and gold pebble cruciform beads. WOOD ROSARIES : 10 mm Jerusalem olive wood rosary with carved wood cross and gold pebble cruciform beads. WOOD ROSARIES : 10 mm Jerusalem olive wood rosary with olive wood cross and gold pebble cruciform beads. 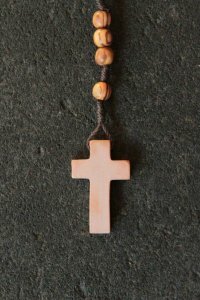 The wooden rosary is hand-made from ancient olive trees that grow around Bethlehem and Jerusalem. 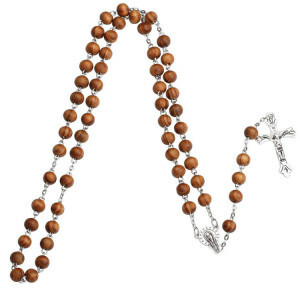 The rosary is 14.5" long and is made of 59 wooden beads ( 7 mm each ) on string. The disc is made of authentic stone from Gilo Mountain, near Jerusalem and Bethlehem. The cross is made on new special technology with the use of high-temperature pressing of holy earth. It should be noted that the history of production technology either as the history of the cross itself has deep roots. These rosaries can be the great present for religious people or just the nice souvenir from Holy Land. The item made of original olive wood from Bethlehem area. The item have high quality and save warmth & smell of olive wood. We work with purchase orders, and we'll be glade to produce rosaries according to your own taste and wishes, with diffrent types of beads and crosses. Height or length: 52 cm / 20.472 in The item made of original olive wood from Bethlehem area. The item have high quality and save warmth & smell of olive wood. 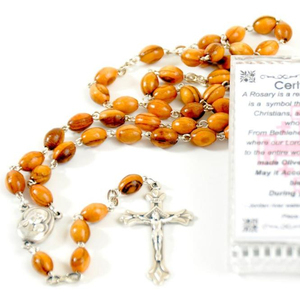 We work with purchase orders, and we'll be glade to produce rosaries according to your own taste and wishes, with diffrent types of beads and crosses. Retail version. Limited edition. 100% olive wood. 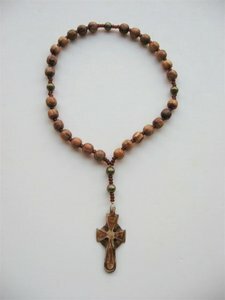 Alibaba.com offers 127 olive wood rosary jerusalem cross products. About 22% of these are religious crafts, 7% are carving crafts, and 4% are necklaces. 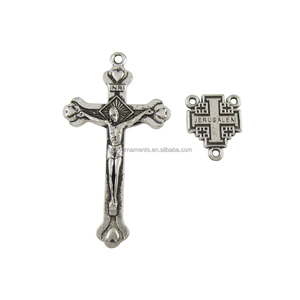 A wide variety of olive wood rosary jerusalem cross options are available to you, such as wood, metal. You can also choose from holiday decoration & gift, souvenir. As well as from paid samples. There are 41 olive wood rosary jerusalem cross suppliers, mainly located in Middle East. 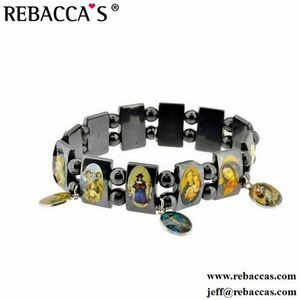 The top supplying countries are Israel, China (Mainland), and Palestine, which supply 63%, 24%, and 12% of olive wood rosary jerusalem cross respectively. 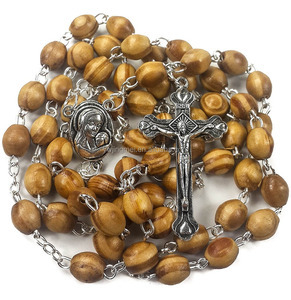 Olive wood rosary jerusalem cross products are most popular in Central America, Eastern Asia, and Domestic Market.